A picture may well tell a thousand words but what if that picture is tweeted, shared and liked? Could social media help engage the community with local wetlands? Could it assist in crowd sourced tracking of environmental change? Using photography to track post-bushfire environmental change is common in Australia where bush fires are a part of life. Scientific publications and technical reports produced across the country have used “before and after” photos to highlight the dramatic change, and equally dramatic recovery, seen in the Australian bush after fire. 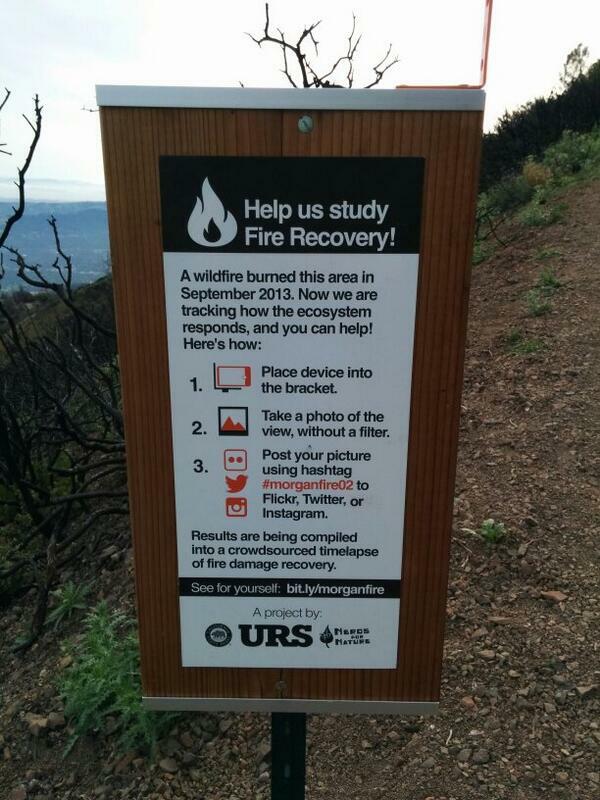 How can we incorporate social media in tracking this post-fire recovery? Perhaps it could even play a role in boosting the spirits of the local community seriously impacted by bushfire? The recovery of communities is as important as recovery of the environment. A recent study has highlighted the importance of social networks in the community and perhaps opportunities to share interactions with the environment through social media would provide further opportunities for engagement. An example of engaging social media in bushfire recovery comes out of California. I’m particularly taken by the use of social media as a critical component of the program tracking recovery from bush fires that swept through Mt. Diablo in 2011. The project is coordinated by the Nerds for Nature team, inspired by the initiative of Sam Droege and his Monitor Change project. The idea is based around members of the community taking photos at set locations with set perspectives and compiling those photographs shared through social media, to create a crowd sourced time lapse animations of post-bush fire recovery (you can read a little more about it here). What makes this so neat is the simplicity. Clear signage and a simple bracket for lining up your camera/phone. The website interface is great too. The team behind the project have provided some detailed instructions that form a great basis for adapting this approach to a local environment (they also point out that this project may not be as simple to implement as you may think…). 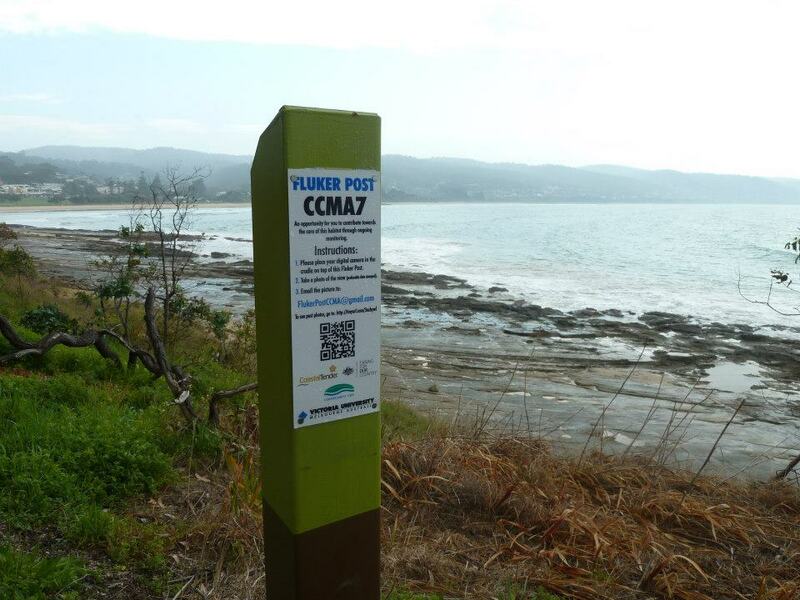 Another example of using photography to track environmental change is the Australian Fluker Post project. Similar to the approach by the Nerds for Nature team, this project, coordinated by Dr Martin Fluker at Victoria University, is a “citizen science system designed to allow community members to contribute towards the ongoing care of various natural environments by taking photographs”. “Fluker Posts” are installed at key locations and members of the community can use their own cameras to take photos and then email them to coordinators. As well as collecting material to assist local land managers, this project may have a more subtle influence on conservation by engaging the community with the local environment. By providing an opportunity for local residents (as well as regular visitors) to track the changes in their local environment, it would be hoped that a connection and care for the local environment would increase. As well as directly changing behaviour that may threaten local habitats or wildlife, the community (and by extension local decision makers) are more likely to be supportive of rehabilitation efforts. You can see examples of photos from the various Fluker post locations here but you can also keep up to date with various projects at the Fluker Post Facebook page. A relatively new venture has just kicked off using this “technology” to engage with school students – a great idea! Another great example of crowd-sourced tracking of the potential environmental change is the Witness King Tides program. The program is coordinated by Green Cross Australia and calls of members of the community to submit photos taken during king tide events (the highest of the spring tides each month) to help generate an indication of what may happen in the future with sea level rise. There is a wonderful collection of photo albums here from across Australia. This idea of a crowd-sourced collection of photographs tracking tidal events has been tried in the past. Most notable was a collection of photos contributed to by over 250 people taken during a major tide event in 2009. A useful document was produced by NSW Office of Environment and Heritage. It highlights an important issue in relation to potential impacts of sea level rise. The first wave of impacts may not be catastrophic but they will be disruptive. While images of major cities underwater often accompany media reports of rising sea levels and plans for adaptive responses, in many parts of Australia, increasing frequency of these “higher than usual” tides will cause disruption to cities and townships in other ways. Blocking stormwater systems, forcing the closure of roads and delays with ferry services. In addition to this, there is the increasing risk of coastal erosion and loss of amenities in coastal regions. “Before and after” shots of a cycleway through Sydney Olympic Park in January 2014. Higher than expected spring tides flooded many of the pathways, cycleways and boardwalks in the local area causing much disruption; perhaps a sign of things to come if rising sea levels make these event more frequent. One of the problems with this method, however, is that these photographs end up being “one offs”. Without a comparison to “normal” conditions, it can sometimes be difficult to gauge the significance of tidal inundation without being familiar with the local area. Fortunately, there are many examples where contributors send both “before” and “after” tidal inundation shots and they do provide a stunning visual representation of the disruption sea level rise may cause. Perhaps the incorporation of “photography points” (following the examples from the Flucker Post or Nerds For Nature teams) at key locations would be a useful addition to the program? 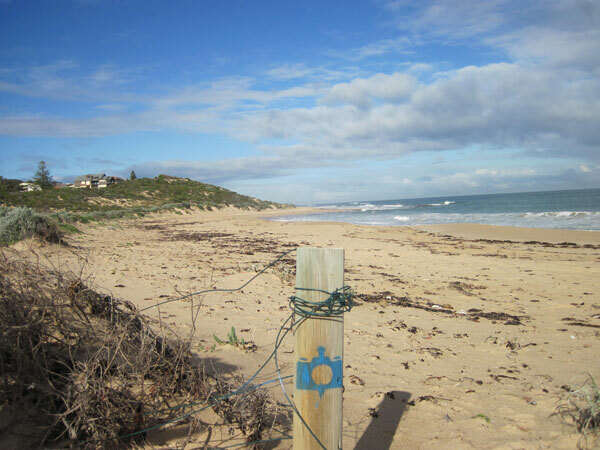 This approach has been adopted bytThe City of Manduarh in Western Australia with their Tidal Image Mandurah Project. The community has been asked to take photos at key locations with a view that images of tidal events such as storm surges, high tide and erosion will help track change. Nothing too fancy in these locations either, just a strategically placed spray painted blue camera! Where would I like to see this implemented? 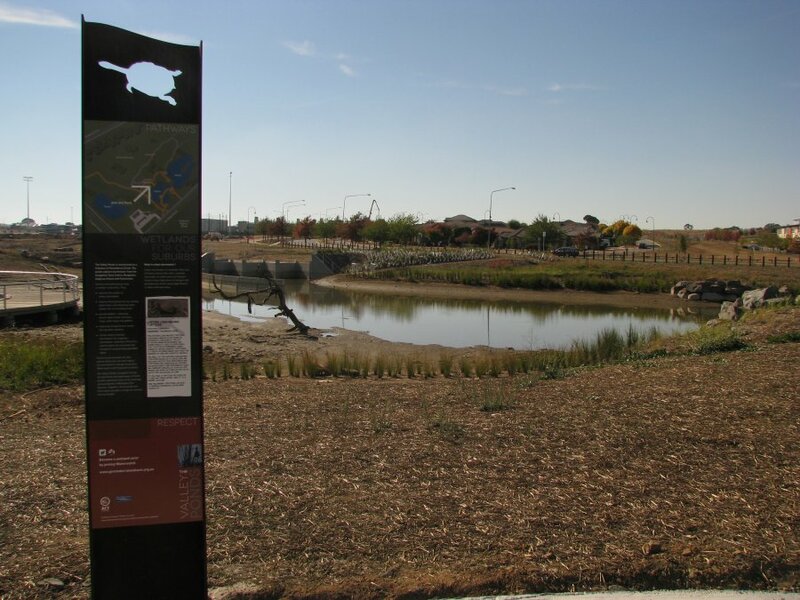 I’ve had the opportunity to work in and around many newly constructed wetlands. 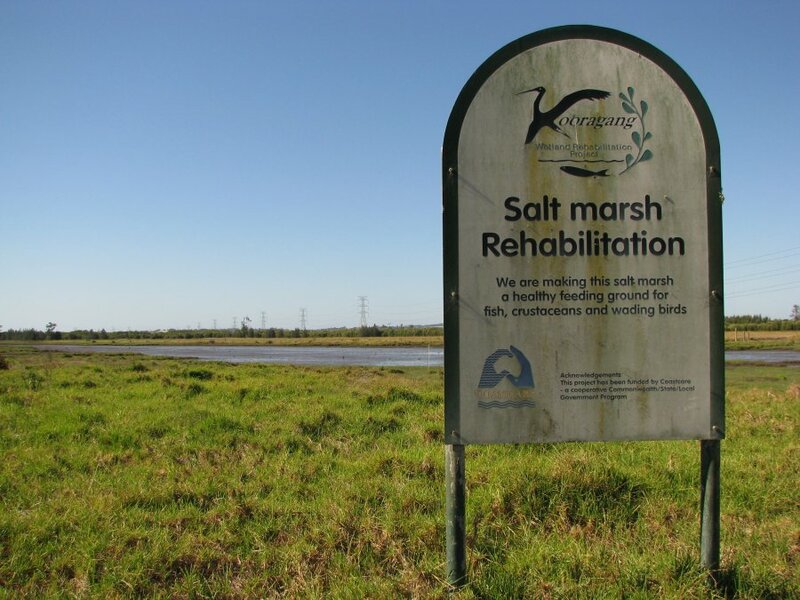 These have ranged from small freshwater wetlands in urban areas to extensive rehabilitated estuarine wetlands. The common denominator across all these sites has been vegetation change. I cannot be out there every week taking photos but it would be great if there was a collection of photos being shared by the local communities that I could tap into. There are some great examples of interpretive signage around our local wetlands. There is also a shift in thinking from traditional interpretive signage to take advantage of new technologies so why not include social media to engage visitors and local community further? Perhaps social media networking should be included in wetland management plans? A simple addition of a bracket and details on sharing photographs could easily be incorporated into local signage as it is installed and/or updated. As well as tracking changes in vegetation growth in and around constructed and rehabilitated wetlands, the encroachment of mangroves into mudflats or sandy shores along urban estuaries could be a focus too. Of course, storm events and unusually high tides could be documented too. An added bonus would be if some rare or unusual wildlife popped up in photographs. 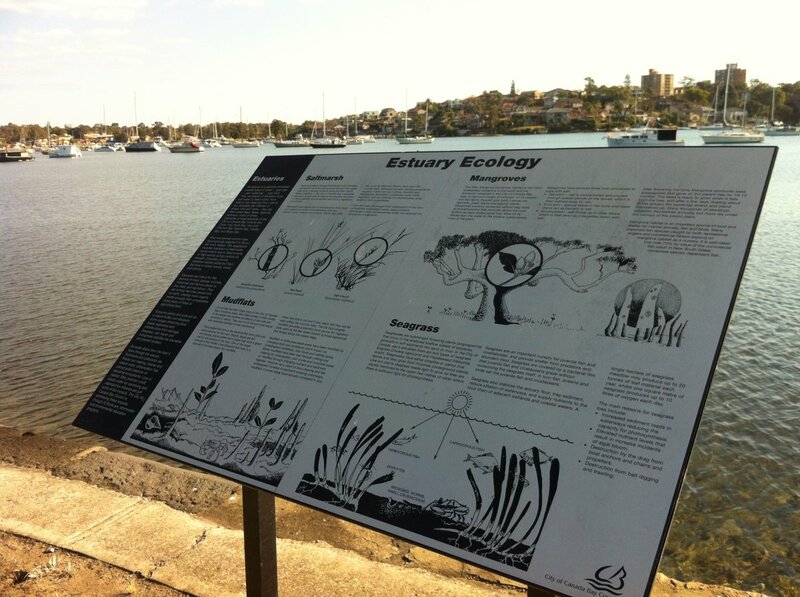 Educational signage of this nature is common place around wetlands in Sydney, could the inclusion of some guidelines for social sharing images help track mangrove incursion into shoreline habitats? There are plenty of other ways social media can assist environmental conservation and rehabilitation. Pozible and Landcare have recently announced the launch (and called for the submission of proposals) of a new global crowdfunding partnership called The Landcare Environment Collection, an opportunity to showcase and support the crowdfunding campaigns of environmental groups in Australia and around the world. Why not join the conversation on Twitter and help share other examples of where social media could help track environmental change. Chikungunya virus arrives in North America: What does it mean? It was only a matter of time. 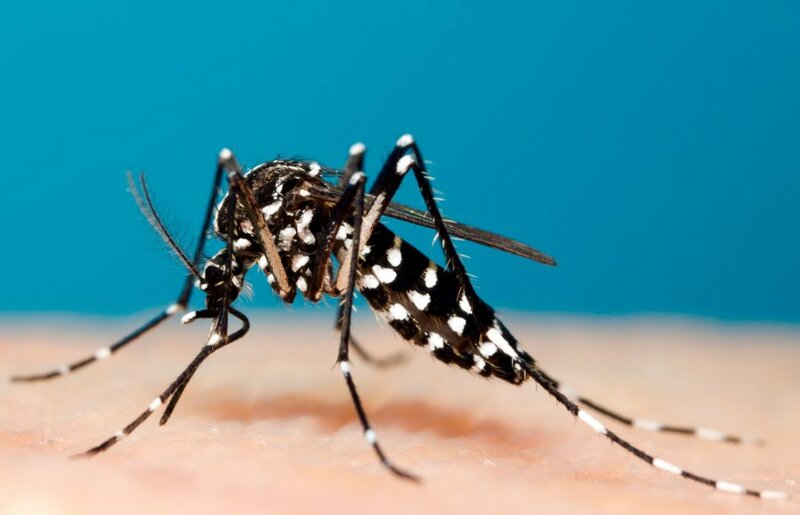 From the moment the first cases of mosquito-borne chikungunya virus were detected spreading through the Caribbean, authorities were expressing concern about the possible introduction into North America. Chikungunya virus is a mosquito-borne virus that causes potentially severe illness. Outbreaks have occurred in many parts of the world but, until recently, it hadn’t been reported from the Western Hemisphere. Chikungunya virus isn’t just impacting the Americas, it has been sweeping across the Pacific in 2014 and justifying the work of health authorities in developing strategic response plans. 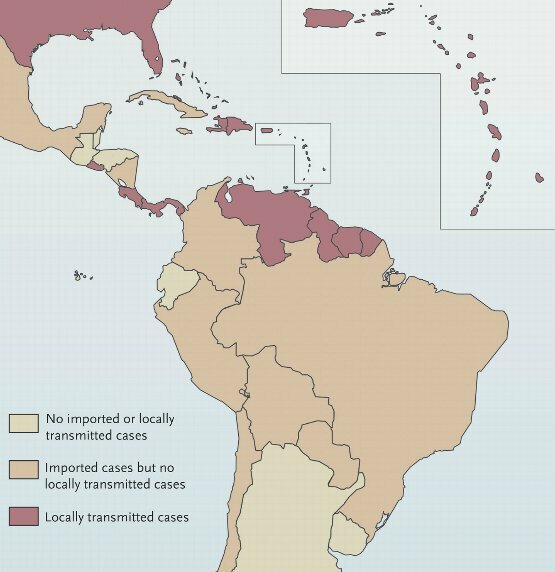 While recent concern about mosquito-borne disease has focused on the risk of dengue associated with travellers attending the FIFA World Cup in Brazil, the number of imported cases of chikungunya virus into the U.S. has steadily increased with approximately 250 cases being reported this year. There have been imported cases in the past but now a locally acquired case has been reported in Florida. The most recent update provided by the CDC [6 Novemebr 2014] reports that the total number of returning travellers to the U.S. is now 1,600, a staggering figure when compared to the pre-outbreak average of 28 cases per year. With about 9 million people travelling between the United States and Caribbean each year, the risks of the virus being introduced to the U.S. and triggering additional local outbreaks are not insignificant. So what does this mean if I live in the U.S. or I’m about to visit? There have been mosquito-borne pathogens introduced into North America in the past. Most famously was West Nile virus. Introduced in 1999, the virus has spread across the country and in the past 15 years or so infected almost 40,000 people and causing approximately 1,600 deaths. Will Chikungunya virus so the same? No. West Nile virus spread so widely because mosquitoes found all through the U.S. (over 40 different mosquito species) can carry the virus and birds, particularly those associated with urban areas act as reservoirs for the virus. What this means is that the virus could more easily spread amongst local mosquitoes and wildlife. This won’t be the case with chikungunya virus. There are only two mosquito species associated with the spread of chikungunya virus in the U.S.. Aedes aegypti and Aedes albopictus. These two species are not as widespread or abundant as those that transmit West Nile virus. Aedes aegypti, the Yellow Fever mosquito, is already a concern. This species is the most important mosquito internationally in the transmission of dengue viruses. 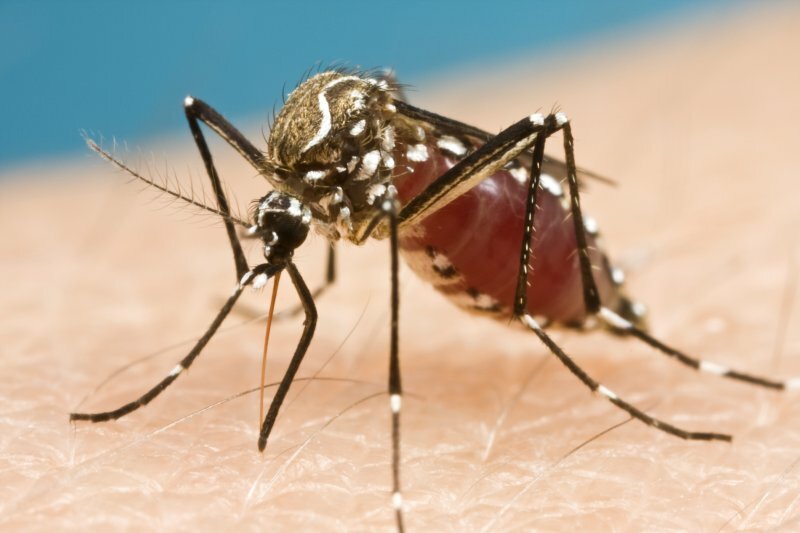 It has been responsible for locally acquired cases of dengue in some southern regions of U.S. However, this mosquito is not found in many regions of North America. 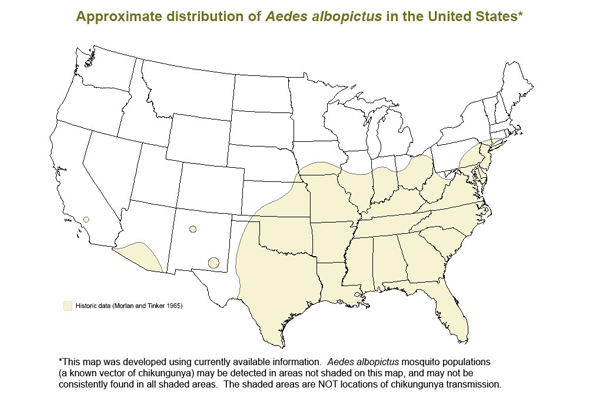 Aedes albopictus, the Asian Tiger Mosquito, has a slightly greater distribution. This mosquito is more tolerant of temperate climates and so is found across many more regions within North America than Aedes aegypti. As Aedes albopictus has been responsible for some explosive outbreaks of chikungunya virus elsewhere in the world, concern was that this species may drive a similar outbreak in North America. Fortunately, some genetic studies have indicated that the current strain of chikungunya virus circulating in the Western Hemisphere is less prone to explosive outbreaks of disease driven by Aedes albopictus. However, these two mosquito species still hold the potential to spread chikungunya virus and should be considered a risk to be managed. When considering the risk posed by Aedes aegypti and Aedes albopictus, other factors need to be considered. As opposed to West Nile virus, there are no local wildlife hosts of chikungunya virus that will assist the spread of the virus. Chikungunya virus, like dengue viruses, are typically spread by mosquitoes from person to person (as opposed to the spread of West Nile virus by mosquitoes between birds and people). Problem is people are the most likely culprits in spreading the pathogen anyway. They move around a lot too. 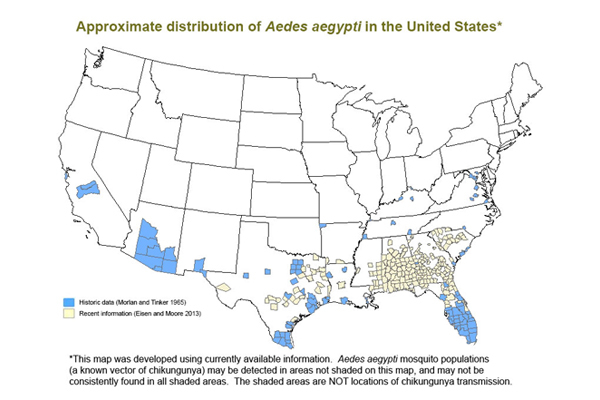 While there may be some uncertainty associated with predictions of what will happen regarding chikungunya and Aedes albopictus in the U.S., perhaps for the best indication of what may happen with chikungunya virus is to look at dengue. There have been significant increases in the activity of dengue in South America in recent decades. Notwithstanding the burden of disease on those countries, this increasing activity also increases the risk of infected travellers sparking local outbreaks in North America and has prompted warnings from local authorities. International travel has been identified as a critical issue in the global spread of dengue. However, while travellers are returning to North America infected with dengue, and there have been some locally acquired cases of dengue, there hasn’t been any major outbreaks recently (despite the history of major outbreaks in U.S. prior to the 1940s). There is little doubt that there will continue to be some more locally acquired cases in Florida or other states where Aedes aegypti or Aedes albopictus are present. The risk will be determined by travellers bringing with them the virus from elsewhere and any reduction in the activity of chikungunya within the Americas will reduce the risk of introduction, and subsequent risk of local cases. A recent study confirmed the importance of Aedes albopictus as a vector with field collected specimens showing a strong preference for human hosts (as opposed to other mammals or birds). The two mosquitoes primarily associated with chikungunya virus transmission are associated with water holding containers. These are typically found around the home. Ensuring that opportunities for these mosquitoes are minimised is critical. These mosquitoes can be found in any container that holds water, from pot plant saucers to rainwater tanks and from pet water bowls to water collecting on tarpaulins covering boats or trailers. If you see wrigglers about, tip the water out! There is no vaccine but the use of mosquito repellents can be an effective prevention strategy. If used correctly, these will provide protection. However, keep in mind that the mosquitoes that transmit chikungunya virus primarily bite during the day (as opposed to the evening like other species). You’ll need to get that repellent on first thing in the morning. You can also read this recent post of mine on how best to combine sunscreens and mosquito repellents. In summary, there is no need to panic but be prepared and follow the advice provided by the CDC and your local mosquito/vector control authority. A good summary and analysis of chikungunya activity in the Americas is provided here (thanks to Ramon Martinez). You can also follow some of the coverage at Examiner by Charles Simmins. A perspective on the current (and possibly historic) activity of chikungunya virus in the Western hemisphere is provided in this New England Journal of Medicine piece. **UPDATE 7 August 2014** There have now been 4 locally acquired cases of chikungunya virus in U.S. (all in Florida) but more importantly, mosquitoes collected locally in Texas have now tested positive to chikungunya virus. Local authorities are responding with extra control activities. The photograph of Aedes albopictus at the top of this piece is by Stephen Doggett, Medical Entomology, Pathology West ICPMR Westmead. Should we mix mosquito repellents and sunscreens? Combining mosquito repellents with sunscreens, as well as other cosmetics, sounds like a great idea but perhaps it isn’t to best way to protect ourselves from exposure to both the sun and mosquitoes. There are formulations that combine mosquito repellents with various skin moisturizers but the most common combination formulations contain sunscreen and repellents. A combined formulation make sense given that Australia has one of the highest rates of skin cancer anywhere in the world. Even the Cancer Council have their own “Repel Sunscreen” formulations. As well as questions regarding the efficacy of these formulations, there have also been some questions regarding their safety. Do they lessen the protection against the sun? Do they lessen the protection against mosquitoes? Do they increase the potential risk of toxic reactions to mosquito repellents? One study found that the inclusion of mosquito repellent in sunscreen actually reduced the sun protection factor of the sunscreen. In 2009, I published a paper in Australian and New Zealand Journal of Public Health that investigated the efficacy of combined sunscreen and insect repellent formulations. The key finding was that no loss of protection from mosquito bites was provided by these combined formulations when compared to low and high dose “mosquito repellent only” formulations. The finding supported previous studies that indicated sunscreen does not reduce the efficacy of insect repellent. However, where we went further was to try and provide some guidelines for use of these products to maximise mosquito bite protection but also to minimise any potential adverse reactions to repellents. This issue of conflicted use was highlighted in a review of sunscreen labelling recommendations and combination sunscreen/insect repellent products that outlined concerns that “the application of a combination product too frequently poses the risk of insect repellent toxicity, whereas application too infrequently invites photodamage”. Could combined formulations raise potential over exposure to mosquito repellents? It is important to note that many published studies and reviews have shown that DEET does not pose a significant health concern (see here too). A recent review of safety surveillance from extensive humans use reveals no association with severe adverse events. 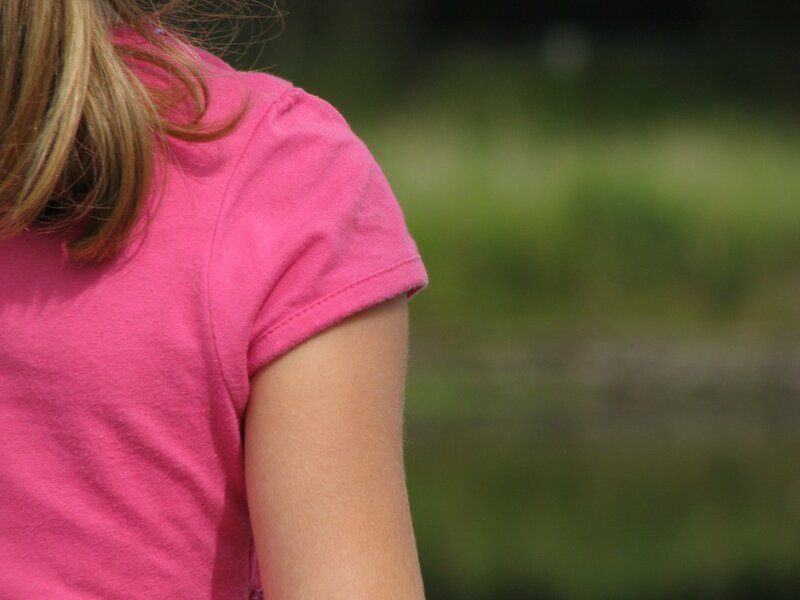 In short, if a DEET-based mosquito repellent is used as recommended, there are no major concerns for health risk. What if the use of a combined repellent and sunscreen formulations results in the application rate of repellent above and beyond recommended rates? How much repellent are you using with sunscreen? The recommended use of sunscreens and repellents are quite different. As well as the frequency of reapplications (sunscreen every two hours; repellent reapplication is determined by the “strength” but may be up to four hours for mid-range formulations), the quantity used will vary. Mosquito repellents require a thin application over all exposed skin to provide effectiveness. When the applications rates providing effective protection in mosquito repellent studies are compared to those for sunscreen use (i.e. approximately 30ml applied across the forearms, legs, torso and back 20 minutes before going outside and reapplied every two hours), application rates for sunscreens are approximately 3-5 times greater. Are you using repellent when you don’t need to? It is interesting to note the differences in the use pattern of sunscreen and mosquito repellent use. In many instances, nuisance-biting mosquitoes will generally be more active during periods when sun exposure risk is low (e.g. late afternoon, evening and early morning). However, as I pointed out in this paper on mosquito repellent use to reduce the risk of dengue, protection against these day-biting mosquitoes could call for the use of both products simultaneously. There is also no doubt that under some circumstances in coastal regions of Australia, mosquitoes can be out and about biting in shaded environments (places like mangrove forests and coastal swamp forests) during the day. I’m not aware of any review in Australia to reconsider the registration or recommendations surrounding the use of combined mosquito repellent and sunscreen formulations. In most instances, the advice provided by local authorities is simply to “follow label instructions”. Combined mosquito repellent and sunscreen formulations are not recommended by the CDC. It is worth noting that also in Canada, combined sunscreen and insect repellents are not recommended. It is suggested to apply the sunscreen first, then the insect repellent over the top. The only problem is that as repellent will generally last longer than sunscreen, you end up alternating application of the two products. We tested the idea that repellents should be applied first and then sunscreen over the top. While testing the efficacy of sunscreen wasn’t in the scope fo our study, we found that the efficacy of repellent (as measured by the duration of protection) was actually reduced. The reduction, we concluded, was probably due to physical disruption of the original mosquito repellent application during subsequent sunscreen application. It should be noted once again that repeated reviews have concluded that DEET-based repellents pose a very low risk of adverse health impacts. However, if you were to take a cautious approach, if there is a risk of possible adverse reaction to repellents, this may be more likely to happen when using high dose DEET-based repellents (e.g. “tropical strength” repellents that may contain over 80% DEET) in combination with sunscreen. If you want to lower the risks as much as possible, using a low-dose DEET-based (e.g. 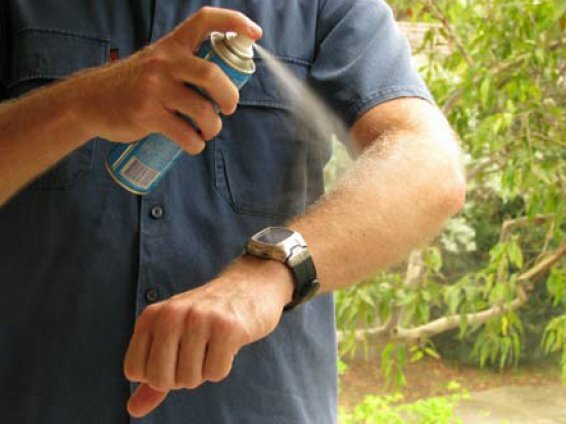 containing less than 10% DEET), or picaridin-based, repellent will more closely align the recommended reapplication times of the two products. If you’re looking for sunscreen advice, visit the Cancer Council website here. Webb, C. E. and Russell, R. C. (2009) Insect repellents and sunscreen: implications for personal protection strategies against mosquito-borne disease. Australian and New Zealand Journal of Public Health, 33: 485–490. 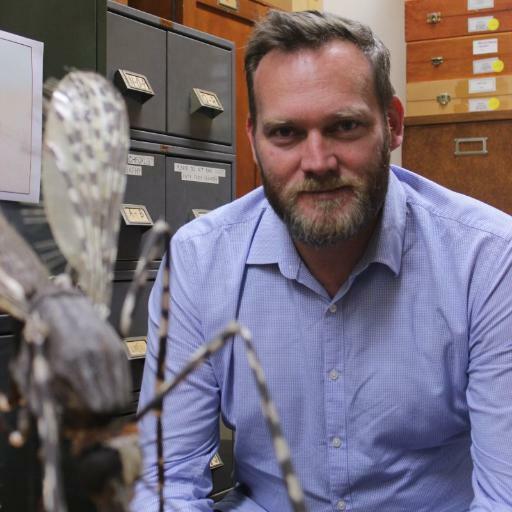 Want to learn more about the amazing world of Australian mosquitoes? Check out “A Field Guide to Mosquitoes of Australia” out now through CSIRO Publishing. 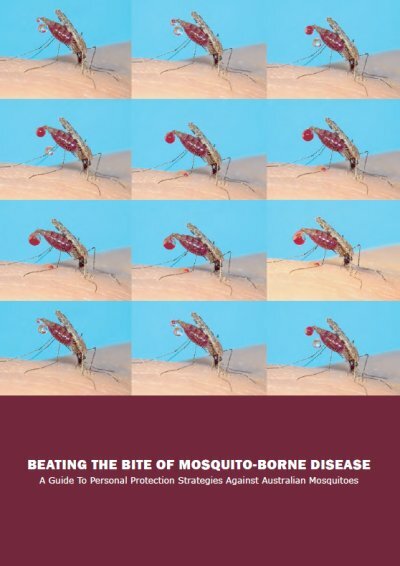 Over 200 pages containing a pictorial guide to almost 100 different mosquitoes along with tips on beating their bite and protecting your family from the health risks of mosquitoes. You can order online or through your favourite local bookstore or online retailer. Read more at The Conversation: Are mosquito coils good or bad for our health? Read more at The Conversation: What can I eat to stop mosquitoes biting me?